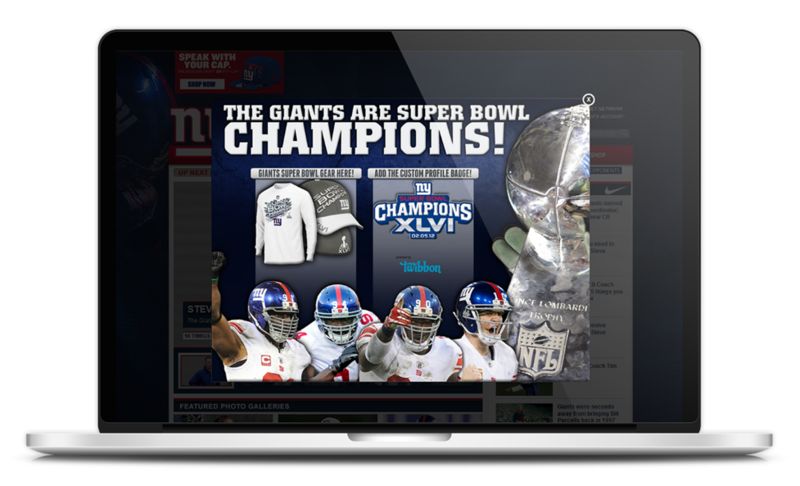 Embedded onto the official New York Giants website, this app allowed fans to overlay their profile picture with a special Super Bowl Champions badge just moments after their team’s victory. Within minutes of the win there was an incredible response from fans, with a peak of 6 Twibbons added per second. Within 24 hours over 34,000 people added the Twibbon to either their Twitter or Facebook avatar. Since 2009, over 300,000 brands, charities and individuals have used Twibbon to increase awareness, raise money and create buzz around their campaign on Facebook and Twitter. Let us know a bit about yourself and your campaign, and we'll get back to you in less than 24 hours. One of the team will be in touch with you shortly to discuss your requirements.